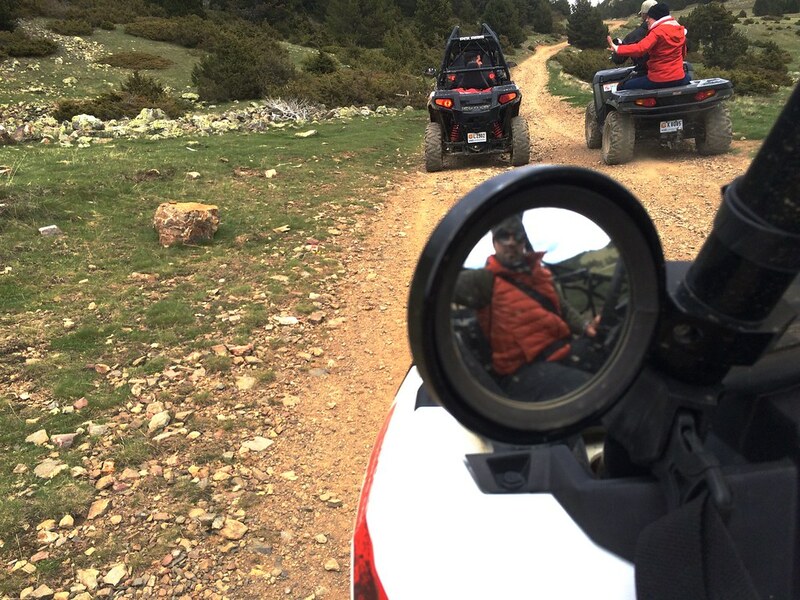 Following up from the previous entry about TBMAndorra , we had still another day full of activities waiting for us on Sunday. Divided into smaller groups, the travel bloggers chose their activities according to their preferences and styles. From walking tours, to hiking tracks, gourmet tours and cooking lessons and more. As an adventurer and speed fan, I chose my day to be spent in Naturlandia. Keep reading to see the lot of activities to do in one day. Naturlandia in Sant Julià de Lòria, Andorra. Outdoor activity center. Our morning routine started with an abundant breakfast at the hotel, and then got separated in different groups. 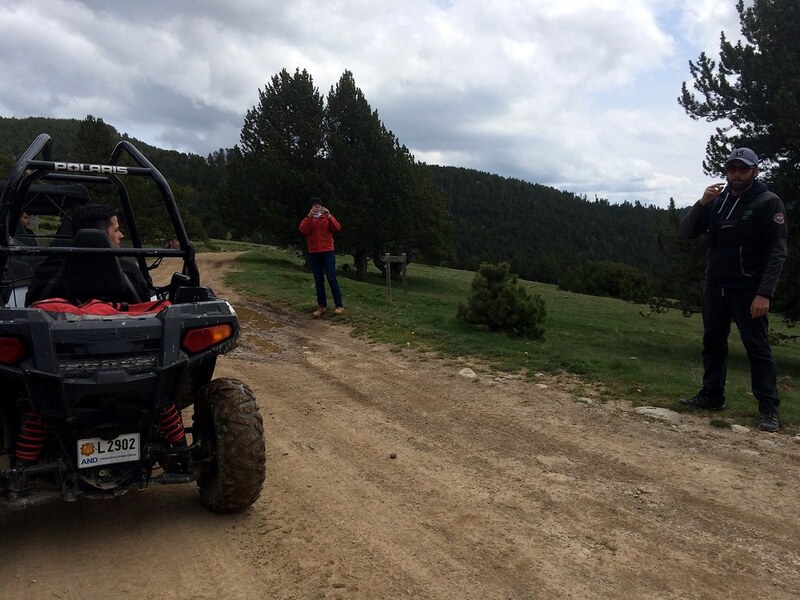 Our small group of travel bloggers headed for Naturlandia, an adventure park near the village of Sant Julià de Lòria, surrounded by forests at highs between 1600 meters and 2000 meters. We had the whole morning to try the many activities in the park. First of all the activities, there was one I heard many times and wanted to try for years and never got the chance, the Tobotronc. 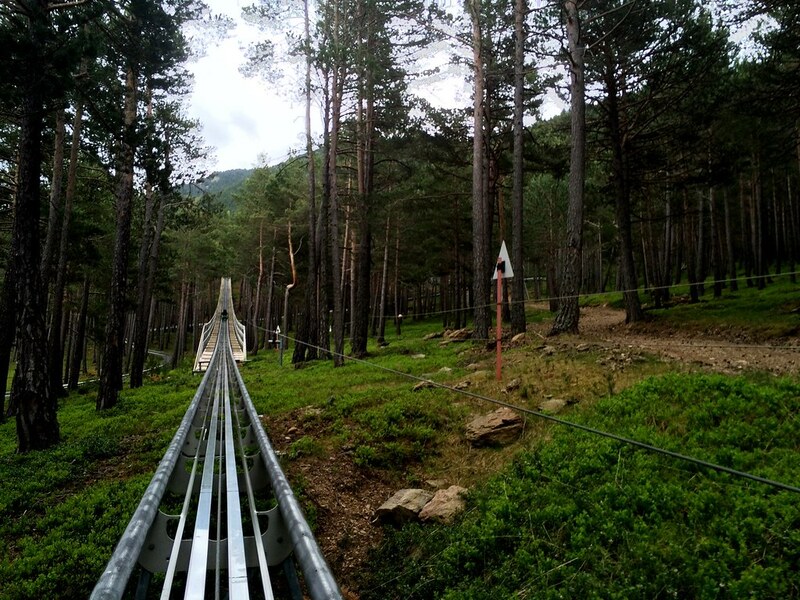 The longest nature slide in the world, with a distance of 5.3 km. 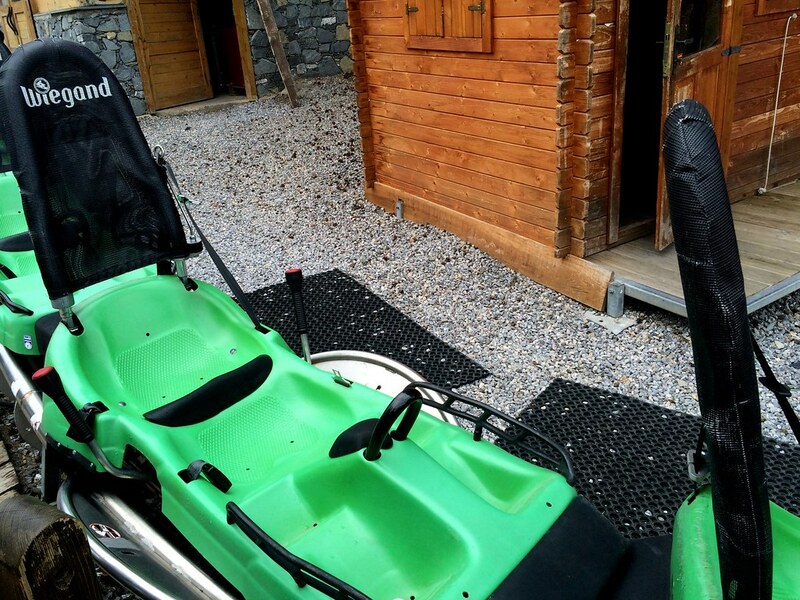 Easy to control, only need to pull the levers to brake during the slide. An action that I completely avoided during the whole ride. The ride is built safe enough to allow full speed without derailing. Tobotronc, a slide on rails through the mountain forest. Relax time and enjoying the scenery on the way up with the Tobotronc. The second activity our group tried was the AirTrek, that I was completely clueless about it, and it turned to be an exciting experience. 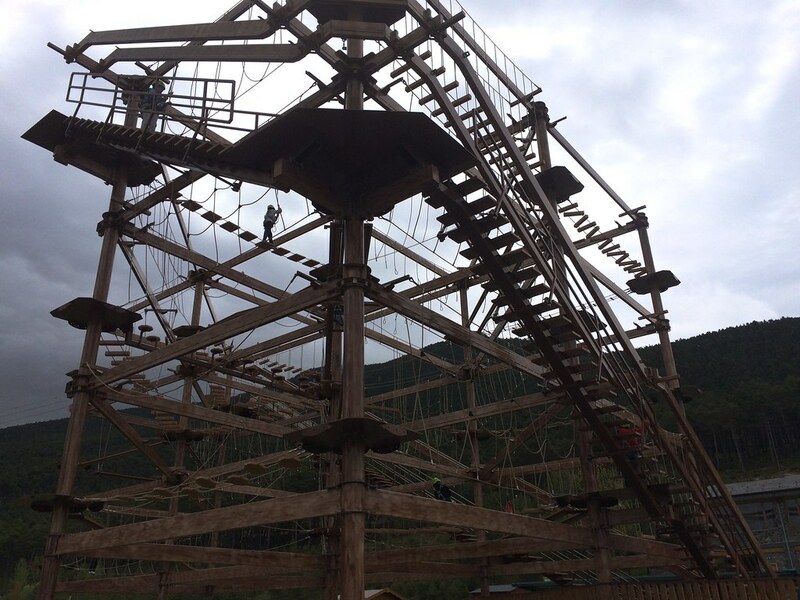 A wooden structure with three floors of platforms and levels of difficulty. A bit scary on a first impression, but is completely safe, equipped with a harness, even in case of loosing balance, there’s no risk of falling. The tension was high enough to keep me there crossing over ropes, walkways and platforms for a long time. 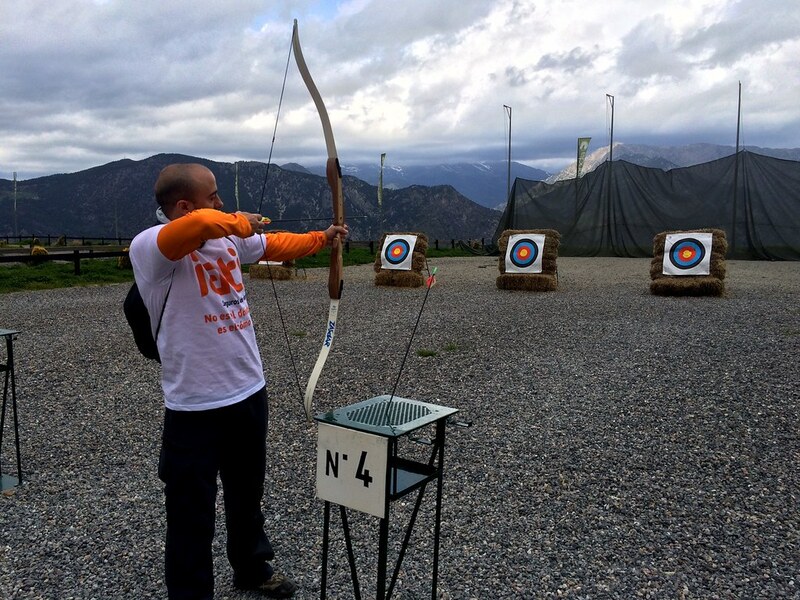 To complete our morning, we were free to chose amongst other activities, and tried so hit the bullseye practicing my archery skills until it was time for lunch at the restaurant Borda de Conangle, at 2000 meters in the mountain. Air Trek, the thrill of crossing over platforms in a maze. Archery for beginners, probably gonna stay on this level. 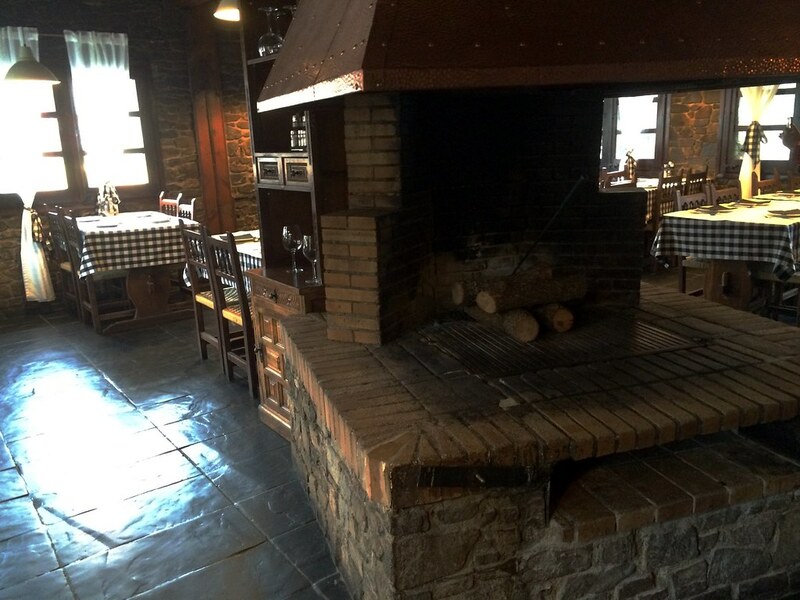 Restaurant Borda de Conangle, a typical mountain building in Andorra. 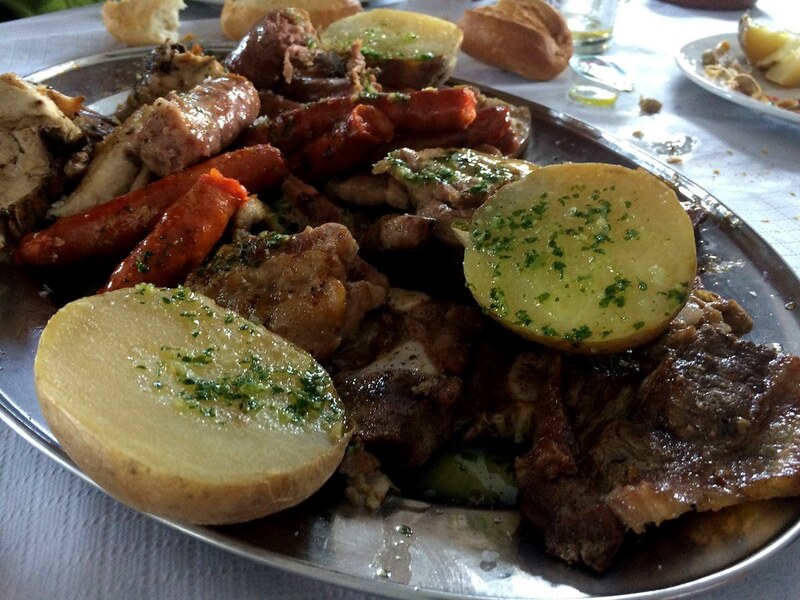 Grilled and seasoned meat, perfect to recover energy consumed in the morning. 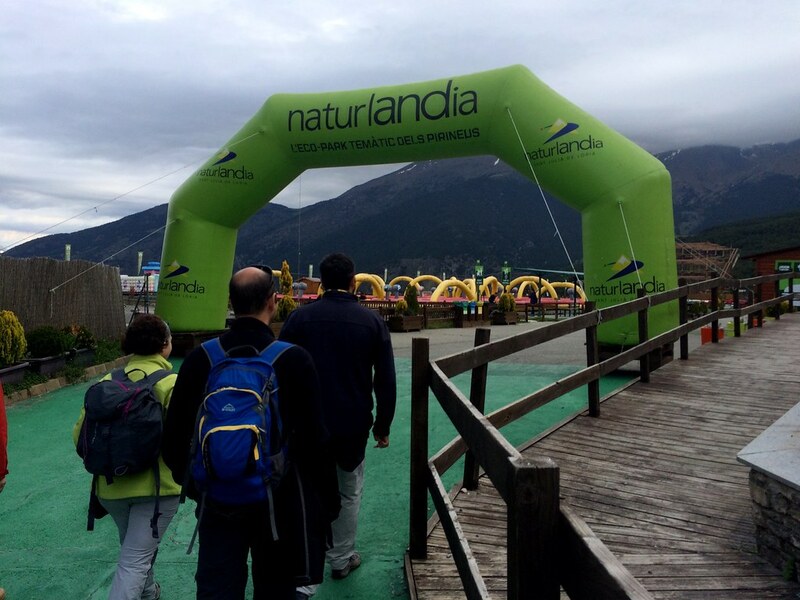 Travel bloggers ready for the second round in Naturlandia. After lunch, it was time to get our rides for the afternoon and go for a tour in the mountain. 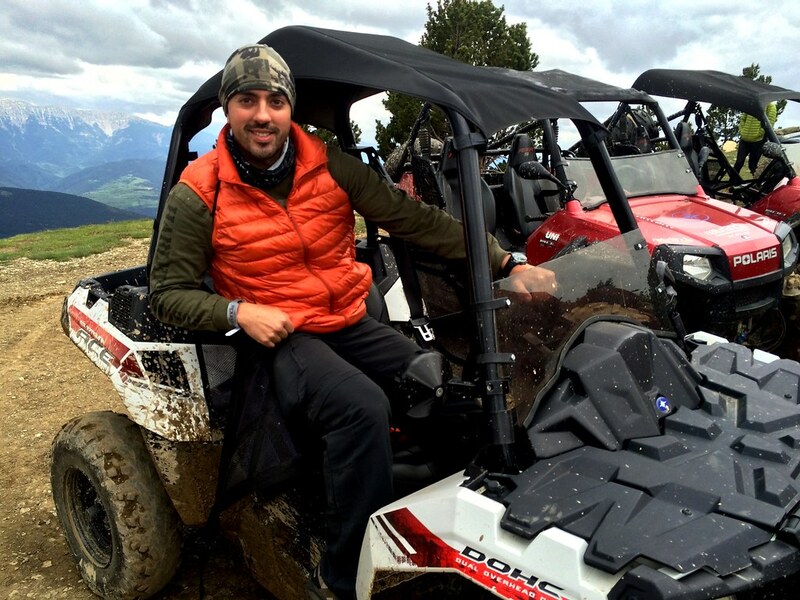 Driving a buggy around the Rabassa and forest paths. 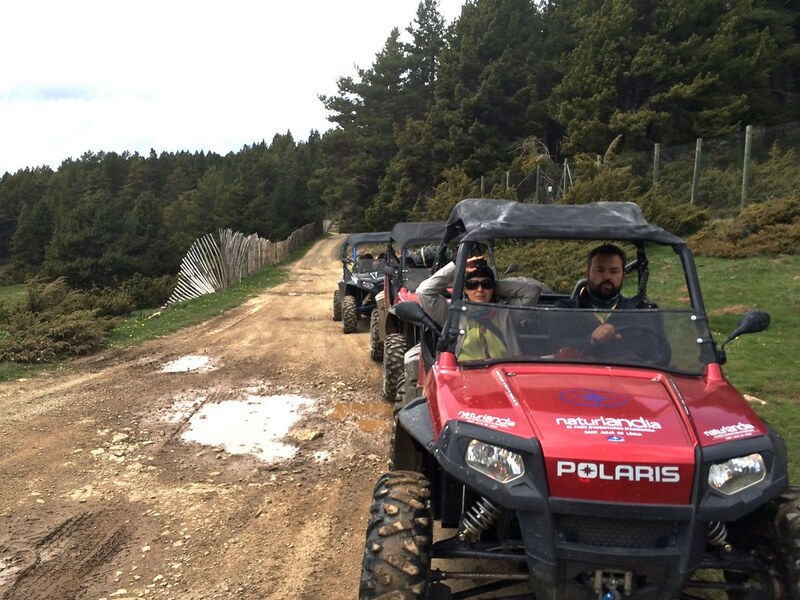 Accompanied by two instructors, our group followed the tracks of the smugglers route. 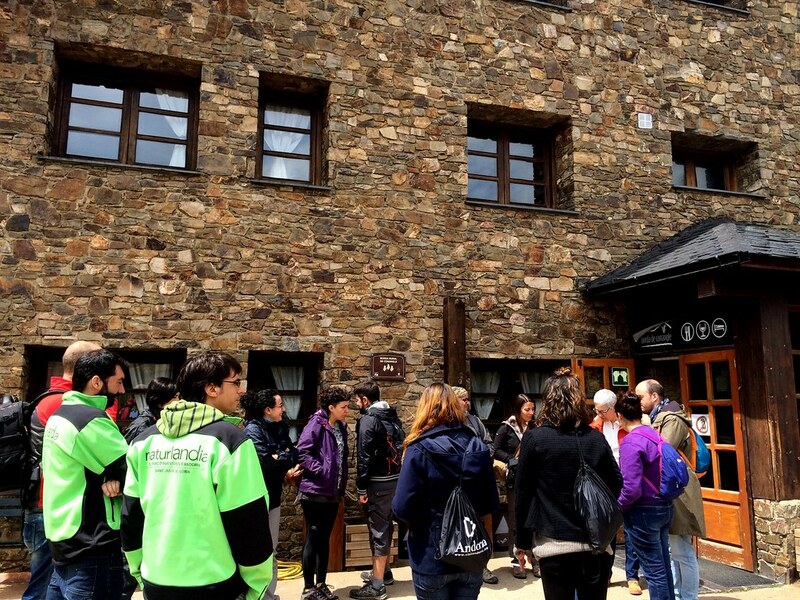 Stopping at waypoints to hear their explanations about the history of the mountains, regarding the smugglers crossing borders between Andorra and Spain with tobacco and other goods. We crossed ourselves between countries, driving uphill to get a better view of the scenery. 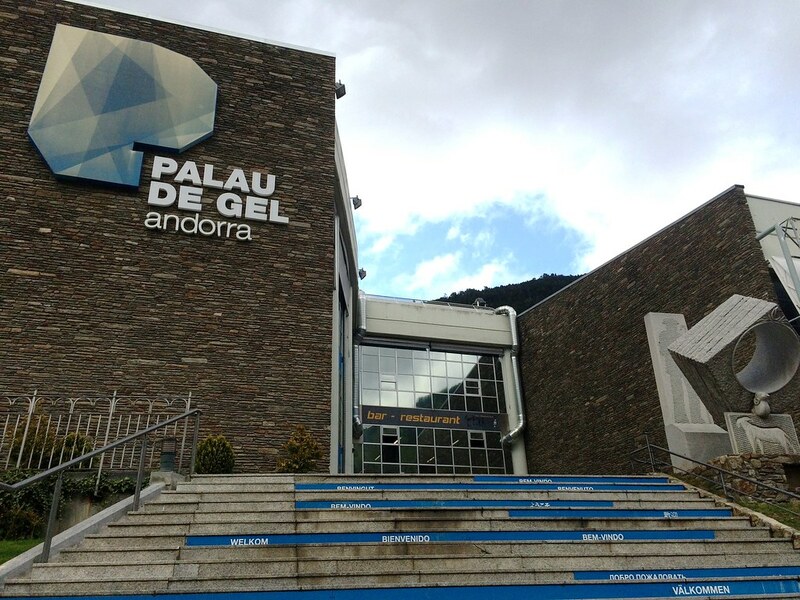 Right at the last minute it started to rain, perfect timing to go back to our hotels and get ready for the last part of the day, at Palau de Gel (Ice palace). The instructor tells the story about smugglers crossing borders. 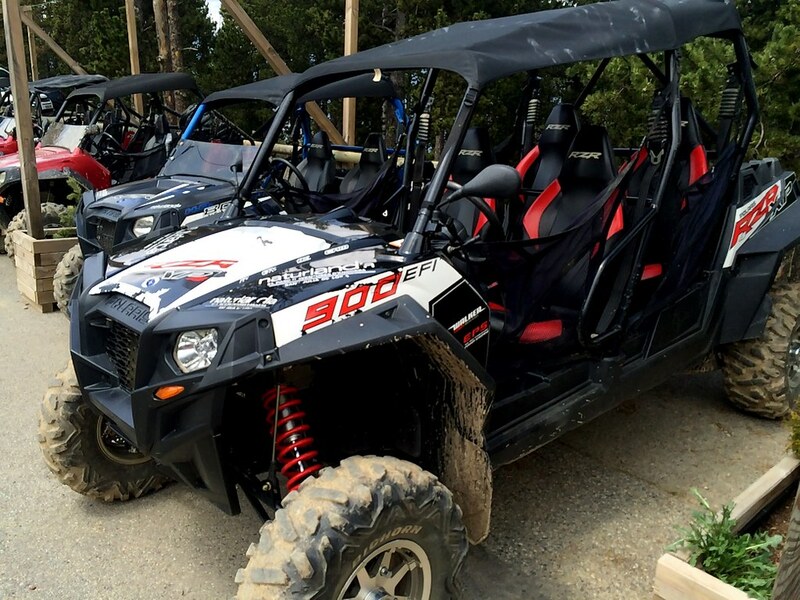 Buggies are perfect for mountain roads. A new way of taking a selfie. 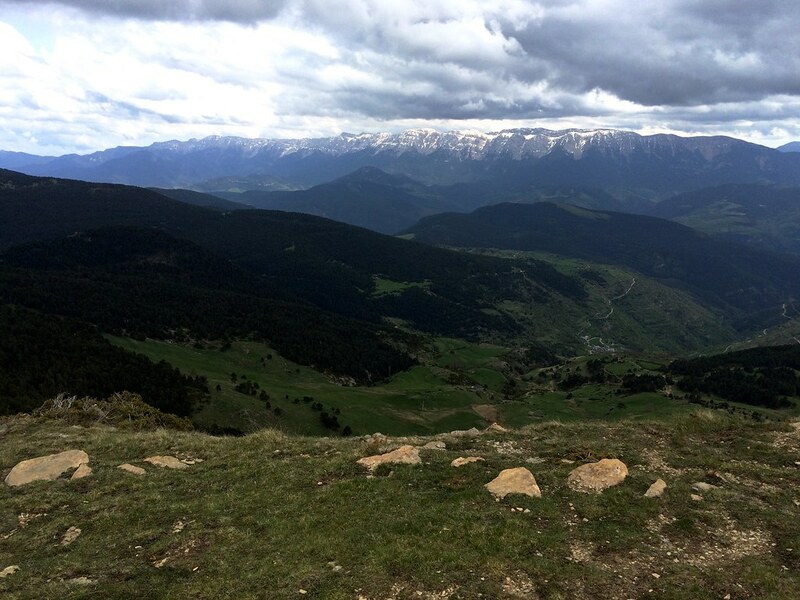 From top of the hill, observing the Pyrenees. Getting dirty never bothered me anyways, much better to go full throttle and enjoy the ride. With only an hour to catch our breath at the hotel, our bus departed to the Palau de Gel, located in the village of Canillo. At this ice skating venue, we were divided in two teams for a Ballon balai match. Any of us had played before, so we were all in the same condition. 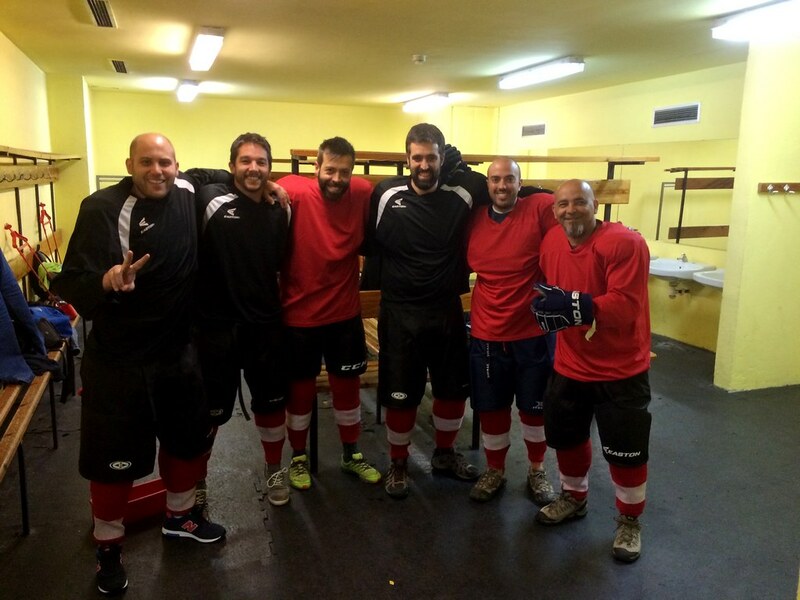 The match ended with a draw with zero goals for each team, in a grudge match on ice. Lucky for us that the uniform and gear made the experience softer, because I can recall how many times we ended falling on the ice. Meanwhile we were changing into our normal clothes again, the staff got the ice ring ready for the last of our activities, ice karting. Never had the chance to drive on ice, except for when I was living in Finland and had to ride my bicycle every morning to college. 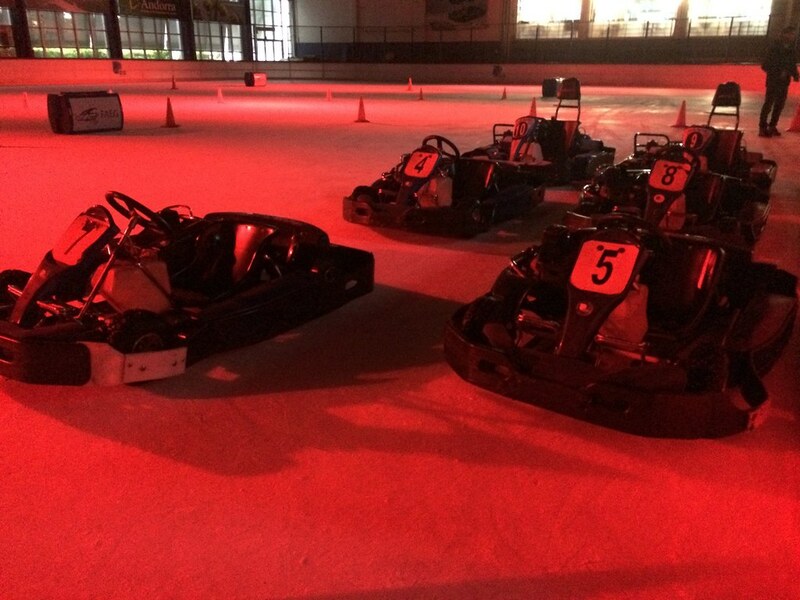 But drifting with a kart on ice was a whole new level for me. Surely an experience I will come to try again and beat my lap time. 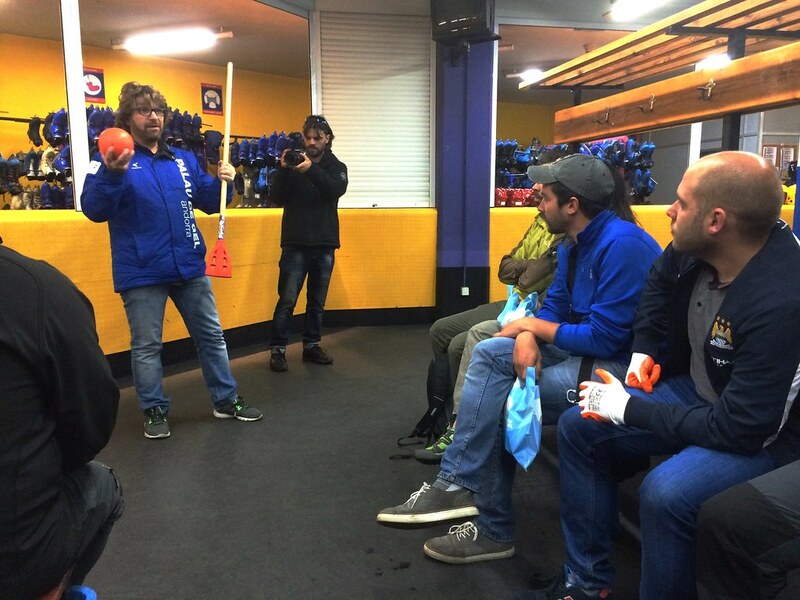 The night and the TBM Andorra came to an end after dinner at the brewery Era Bauró, with the promise of meeting again in the next edition. The next day I had to come back to Barcelona, not before taking a walk around Andorra la Vella. Palau de Gel, in the village of Canillo. Instructor telling us the secrets to play Ballon Balai. We needed another instructor to tell us how to dress and wear all the protection gear. 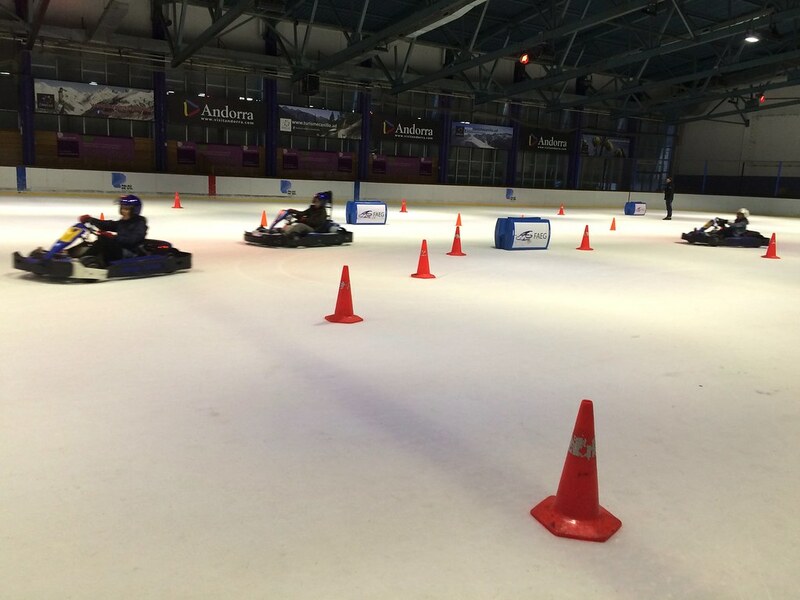 Karts ready at Palau de Gel. The ladies racing on ice, the had tons of fun. I left the last day for some shopping and walking around before my departure. When you come from Barcelona, and your friends or relatives know you’re going to Andorra, make sure to leave some empty space in your luggage for last minute shopping. Years ago, it was more common to stuff the car with alcohol, tobacco and electronics, as Andorra is a tax heaven country in Europe, but in the last years, the different in prices has become closer to the neighbor countries. Anyways, I had clear instructions of buying cheese for my mother and big Toblerone chocolate packages for a friend, and I had some time to spare in Andorra la Vella. Also, I wandered myself around the shops and commercial Meritxell street, searching for some new gadgets for my trips, and a new pair of motorcycle gloves. 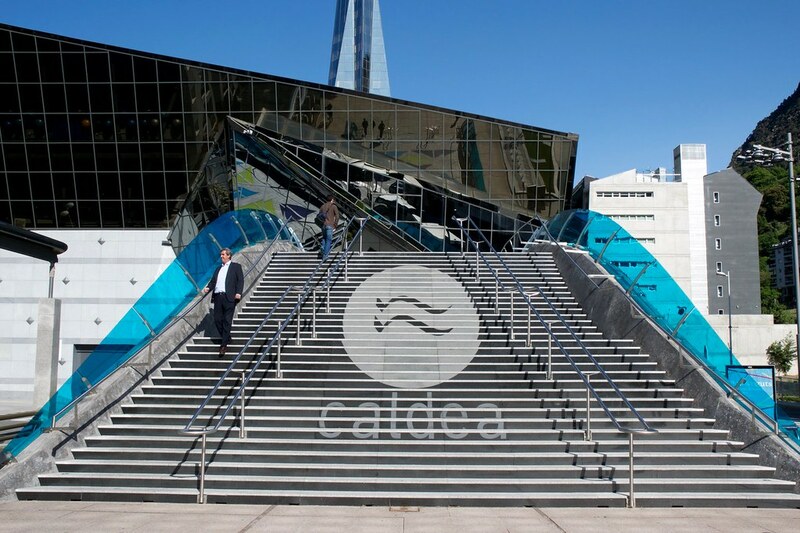 Another place I’d been in Andorra several times is the thermal bath center of Caldea. 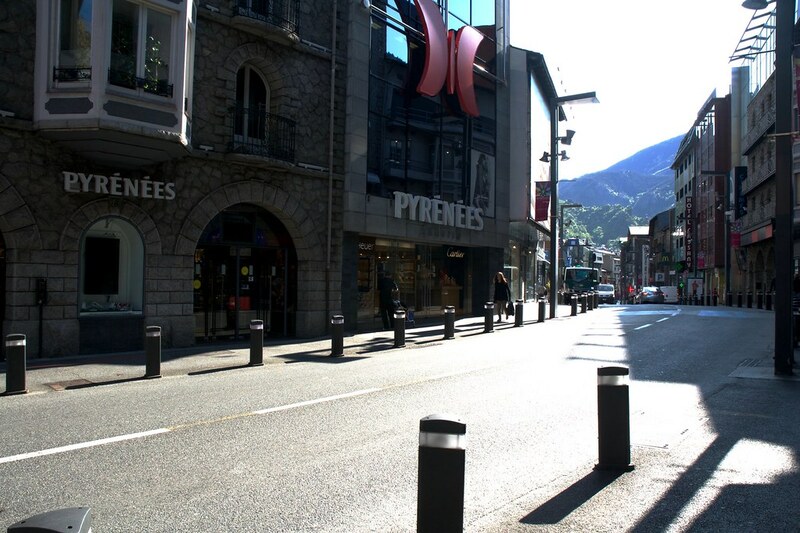 Shopping streets of Andorra la Vella. 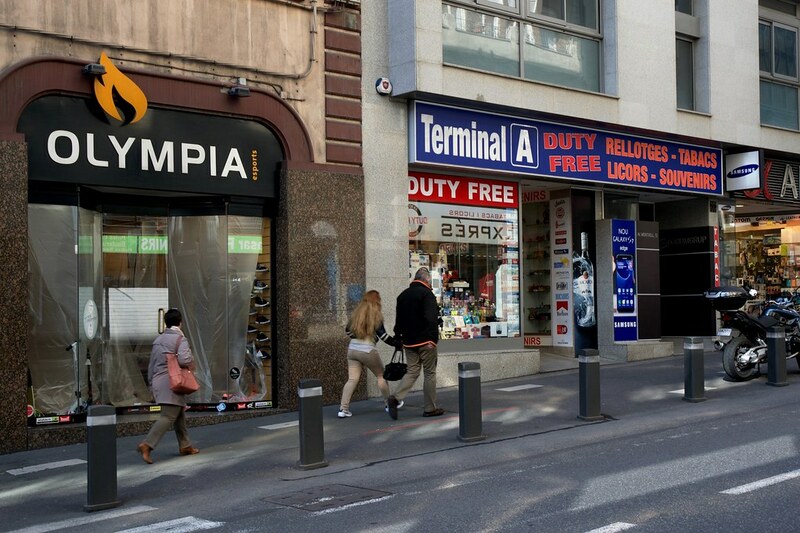 Duty free shops and top brands share their spot in Andorra la Vella. 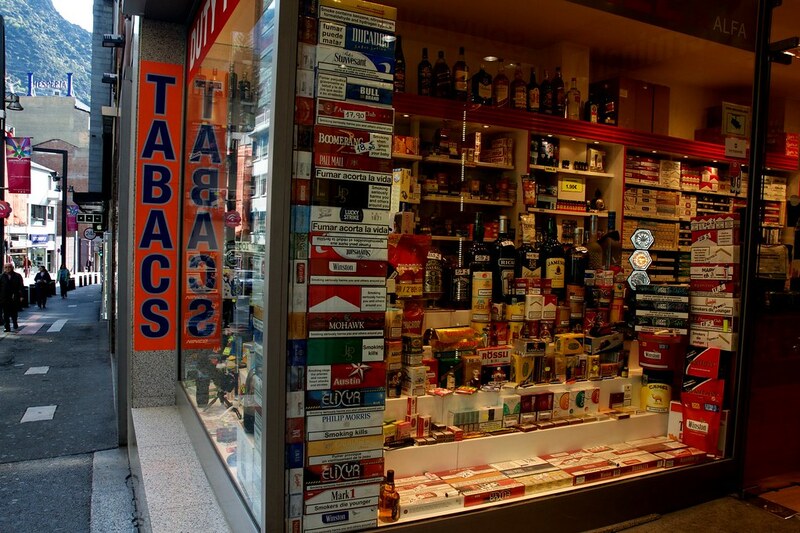 Alcohol and cigarettes shops are still popular among tourists. 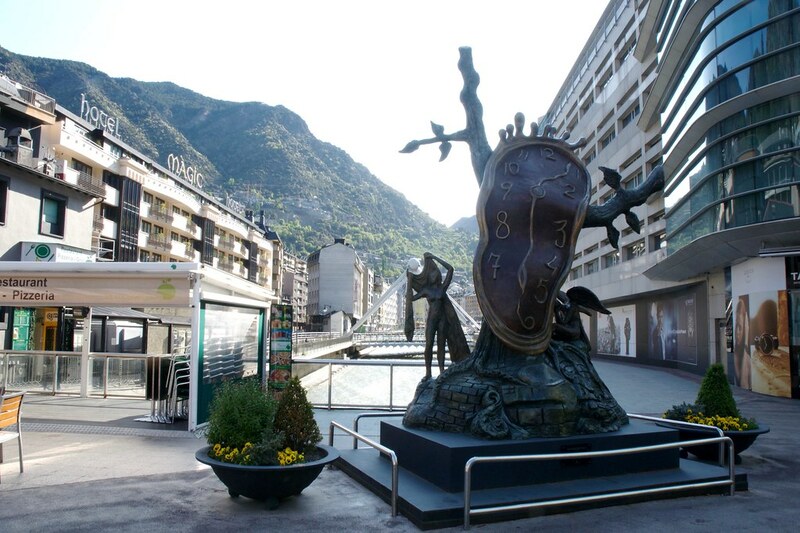 Sculpture “Nobility of time” by Salvador Dalí in Andorra. 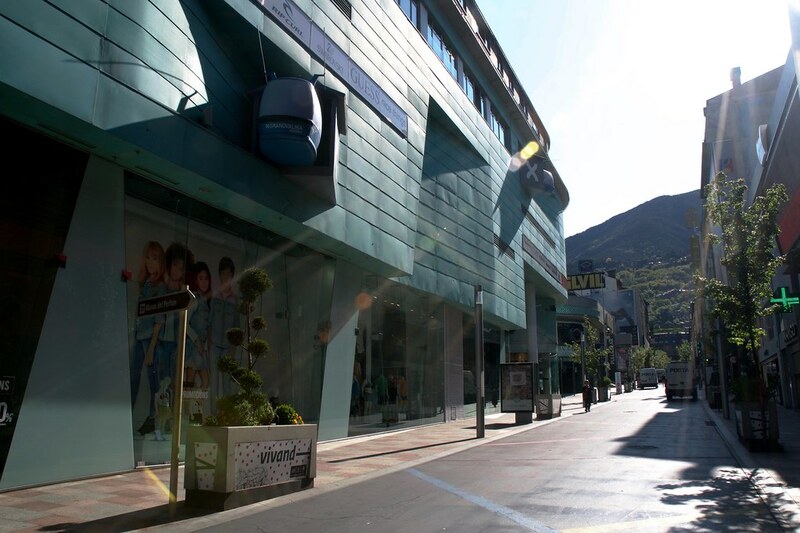 Wandering around commercial center in Andorra. 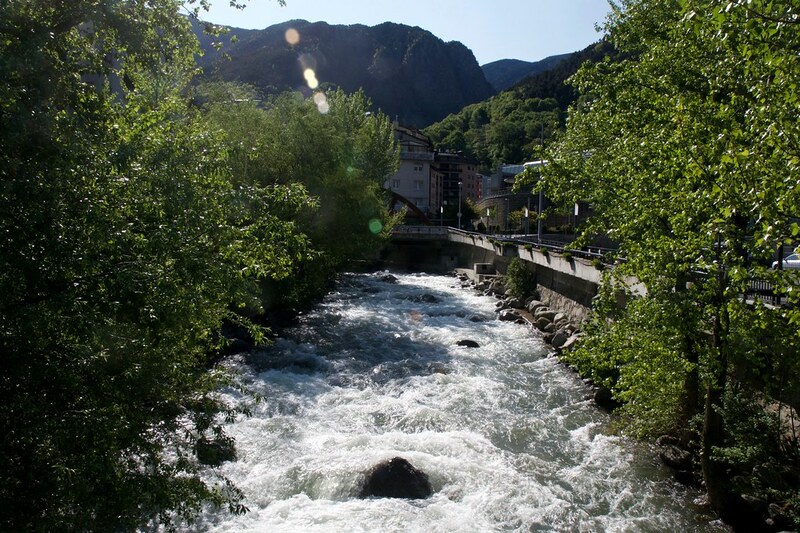 River crossing through Andorra la Vella. 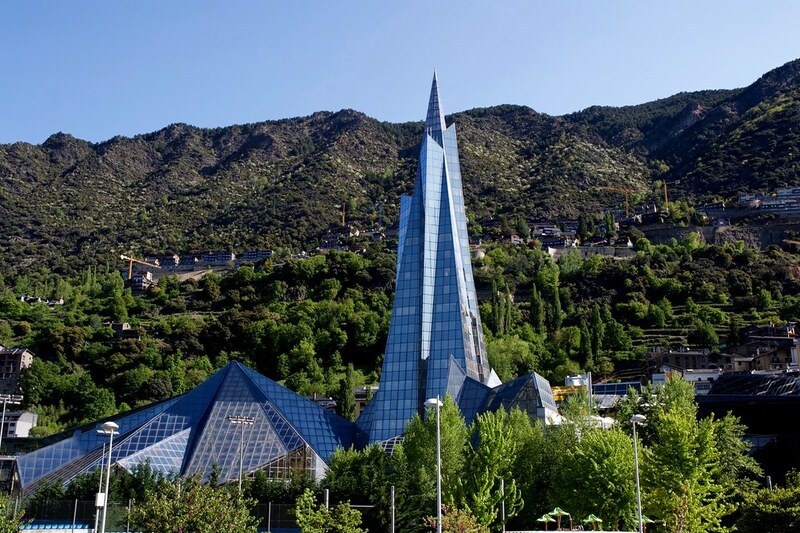 Caldea, the thermal bath center in Andorra. 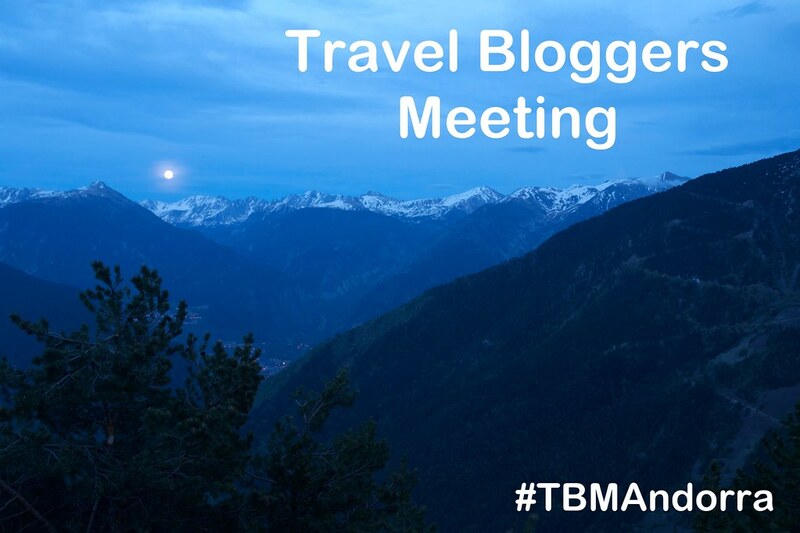 Travel Bloggers Meeting in Andorra, from May 20th to 22nd.